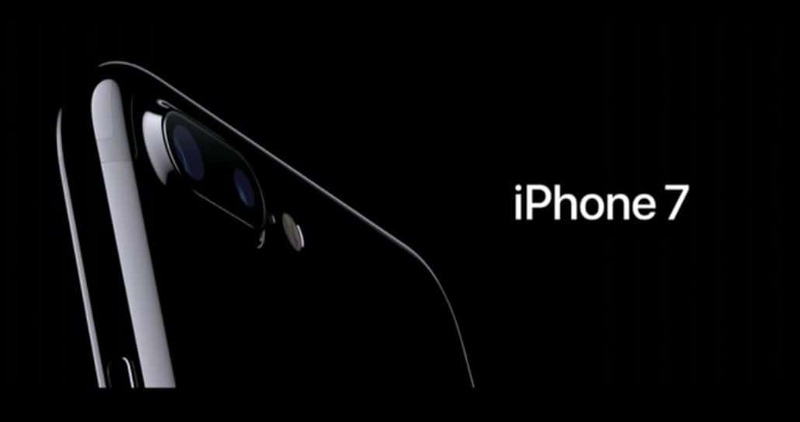 Finally, Apple iPhone 7 and iPhone 7 Plus were unveiled and Tim Cook called it as the “Best iPhone ever made so far”. It comes with much-improved camera, 40x faster performance with new A10 Fusion Chip, IP67 Graded against water and dust, Better GPU etc. The latest flagship smartphone from Apple has got exceptional improvements to its performance, design and battery life. “There’s a reason you see so many iPhones everywhere you look — we’ve now sold over a billion of them.” Apple. 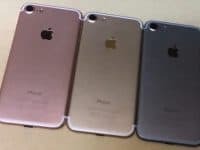 iPhone 7 comes in two variants the regular iPhone 7 and its Plus version called iPhone 7 Plus. 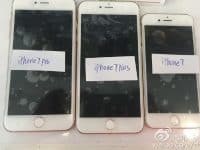 There is no iPhone 7 Pro as we saw in the previous rumors. A10 Fusion is the most powerful chip which makes iPhone 7 and 7 Plus 40x faster than A9 in 6S and 2X faster than the A8. It is 64-bit chip with four-core processor and 3.3 billion transistors, which is highly-efficient and thus makes iPhone 7 120x faster than the original iPhone. Graphics performance is increased by 240x than the original iPhone. The latest iPhones have 25 percent brighter display with fantastic color management. 3D touch has also got incredibly fast. Both iPhone 7 and iPhone 7 Plus are IP67 water resistance – suitable for splashes, showering, short dips in water up to one meter deep. Apple got rid of headphone jacks from the new iPhones saying that it has been around for more than 100 years and it is the very old technology. Apple is set to equip every box the iPhone 7 and 7 Plus with Lightning to 3.5mm jack adapter. It allows for an upgraded stereo speaker. New Taptic engine is added to the Home button to mimic a clicking sensation when the button is pressed. The pressure sensitive Home button replaces the physical Home button. The Taptic Engine provides unique feedbacks for actions, messages, notifications, and ringtones etc. developers can also make use of it on their apps via Taptic Engine API. iPhone 7 Plus sports a dual-lens camera on rear. Both the lens are 12MP, while the one is a wide-angle camera with larger pixel size, a 6P lens and optical image stabilization, the other is a telephoto lens with smaller pixel sizes and a 5P lens. It has a new Camera mode called “portrait”, which lets you create a depth effect. It generates the depth effect in the real-time. Live photos can now be cropped and filtered and used in third-party apps in iOS 10. Front facing camera is a 7 MP with auto image stabilization. New iPhones comes with stereo speakers, with one located at the top and the other at the bottom. They produce twice the volume compared to 6S with increased dynamic range. With exceptional sound quality, stereo speakers are ideal for music. iPhone 7 provides two more hours per day of battery life than the iPhone 6S, one more hour for the Plus. Apple Pay is to support FeliCa NFC payments in Japan to make payments quickly. It will be available from late October. The Apple AirPods will comes with Apple W1 chip that handles audio and wireless connection. It has infrared sensor that detects when they are in your ear. Motion accelerometer can quickly detect touch to activate Siri. It has 5 hours of battery life and is designed to work with both iPhone and Watch. They cost $159 and is expected to ship in late October. Apple has doubled the Storage of the new iPhones, they come in three storage capacities like 32GB, 128GB and 256GB. Two new black colors were introduces one is simple Black and the other is Jet Black (glossy black). The other colors are Gold, Silver and Rose Gold. iPhone 7 starts at $649 for 32GB and the 7 Plus is priced at $769 for 32GB variant. Pre-orders for new iPhones will start from September 9th and the shipping will start from September 16th i.e., a week later. iOS 10, WatchOS 3will be rolled out on September 13 and macOS Sierra will arrive on September 20.